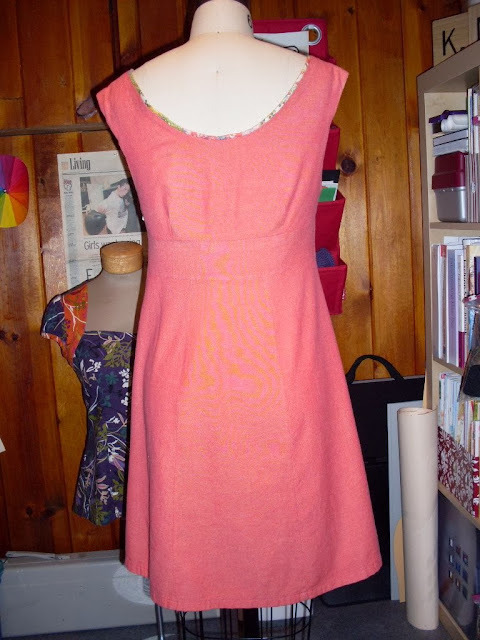 Here's my Rooibos dress. I finished it at the end of last week, but had to run it through the wash once before I took photos. The project for the directions were extremely clear and well written. I also liked the suggestions that are provided to help you customize the dress, such as adding buttons to the neckline. I started by sewing a muslin first because I wasn't sure whether to make a size two or four. The size two fit perfectly, but I prefer a bit more ease, even with something form fitting. So, I opted to cut out a size four. Once I got started with the sewing, it actually went pretty quickly. I bought this fusible piping to make my own using the Liberty fabric since I wanted to add that contrast detailing to my dress. The piping didn't turn out as tight as I wanted and it seemed like the cording unraveled, even though the fabric was fused over it. 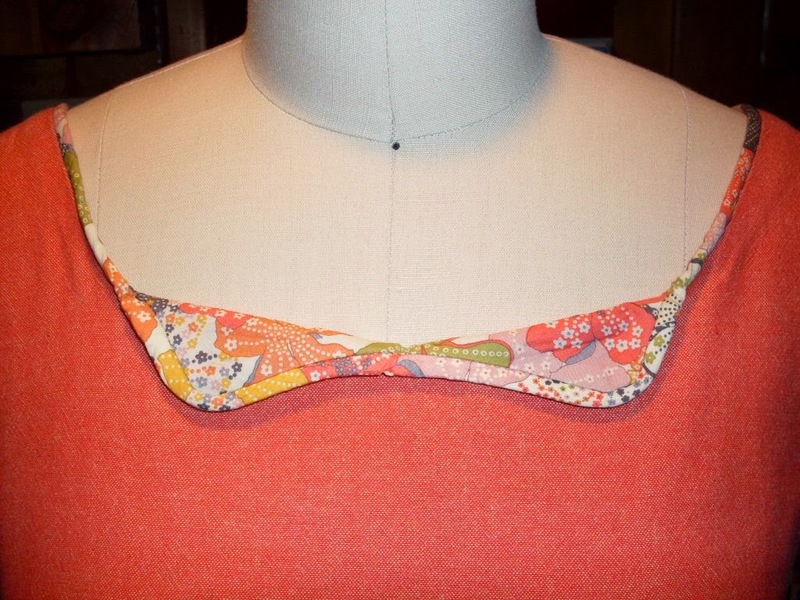 As a result, I don't think the piping looks as good as it could, especially around the curves of the collar. Next time, I would just sew my own piping. 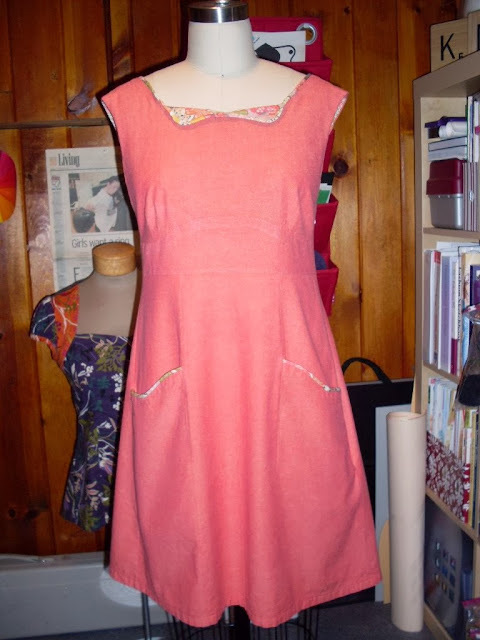 The directions for the dress also don't give directions for how to sew the piping to the curved areas on the neckline, so beginners could have a harder time. Check out these videos for some good tips. 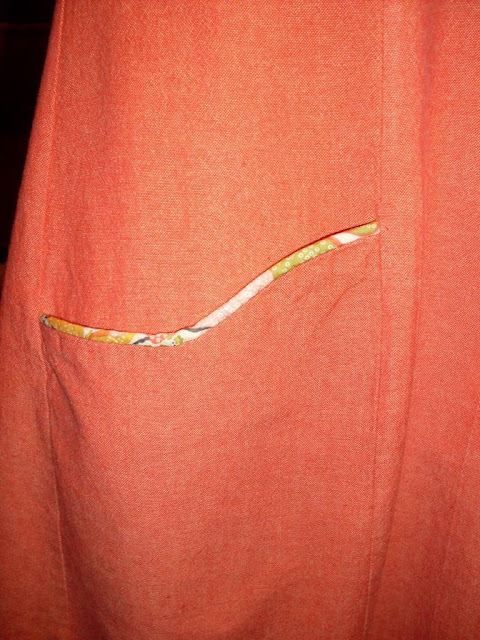 The only modification I made was to lower the depth of the armholes by about a half-inch. Overall, I love how the dress turned out. I think it will get a lot of wear once the weather gets nice. What a lovely lovely dress. I'm not terribly shocked that the fusible piping yields sub-par results. Your collar looks nice, you're too hard on it. I came across your blog via the Colette Flickr pool. I love your version of the Rooibos dress! it's a great color. I'm also curious about the bodice on the dressform in the back? It's lovely! can you please identify the pattern? That is Amy Butler's Lotus pattern. thank you! I'll add that to my list of patterns to buy!